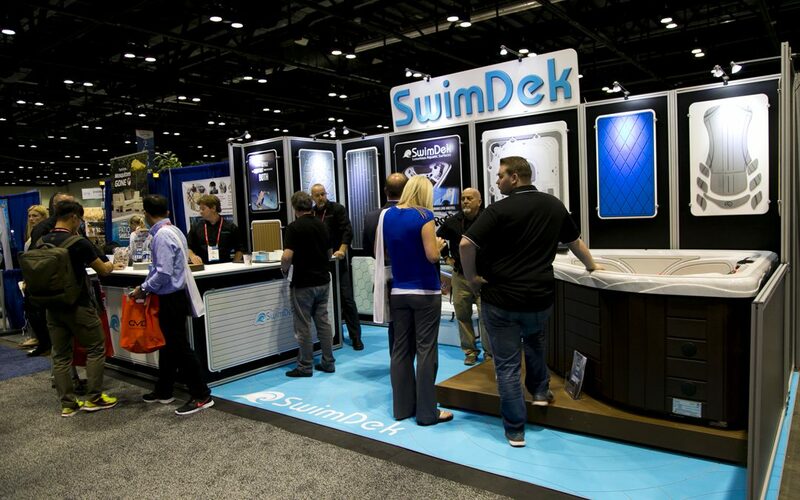 The SwimDek team had a great showing at the 2017 International Pool Spa Patio Expo, with tons of booth traffic and an energetic crowd that was excited to experience SwimDek’s innovative aquatic surfaces. Many thanks to everyone that dropped by the booth to say hello; it was a pleasure meeting everyone new, and also catching up with old friends! Don’t miss any exciting news from SwimDek! Click here to join our mailing list!